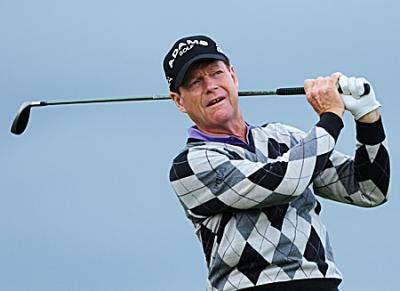 Periodically, you hear the story about a pro who sours on his/her putter. Before the tournament begins, the pro goes to the pro-shop, picks a putter out of a barrel of used putters, and then goes on to win the event. It does happen. Have you noticed the price of putters? If only they lowered your score. Another Monday, another Post. I think all golfers can relate to these four short lines. Come back next Monday for another four line golf poem to start your week. And, if you are new to this Blog, please know that I have a recent book, Opposites in Golf, for sale on Amazon for $4.50. It’s a great gift to slip into someone’s golf bag. If you have time, check it out at https://golfpoet.com/category/opposites-in-golf/. As an old mathematician, I like axioms, even if they are related to golf rather than to probability theory. I found the ones below in Robert H. K. Browning’s classic book, “A History of Golf.” Please excuse slight liberties taken in turning them into a rhyming poem. Here are three axioms I discovered in Browning. And putting’s an inspiration – this one is crowning. It was reported today (June 5, 2017) that Jason Dufner, the winner of last week’s Memorial Tournament, has found a way to improve his putting. When over the ball, he concentrates on his breathing. He may have something there, but then again . . . . .
Then you really have a chance that your putt goes in. Please come back next week for the next golf poetry Post. We’re back to four line poems with a focus on putting. I’m sure that most of you have missed a putt and then later thrown down a second ball on the same spot and made that one. The poem below suggests a way to incorporate this experience into your putting routine. Your “second try” will always go in. 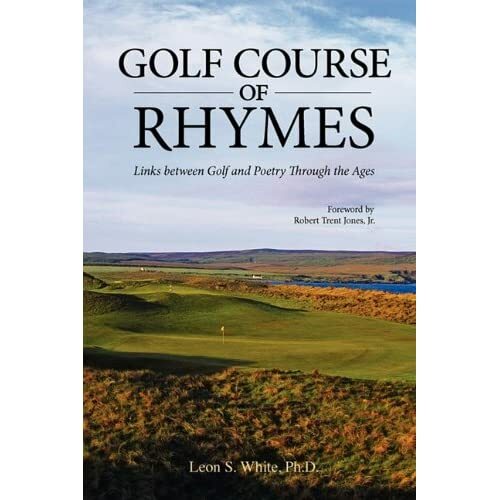 With Father’s Day coming soon, let me suggest the most unexpected and entertaining gift you could select: One of my two soft-cover books, Golf Course of Rhymes – Links between Golf and Poetry Through the Ages or Opposite in Golf – Portrayed in Poetry as Opposed to Prose. Both are available on Amazon. Thanks for taking a look. What is the opposite of cup? Glass an answer that pops up. Where errant balls are want to land. Known to golfers as a bunker. When on a green, mad or cheery. And uphill or down to thicken the plot. All makes putting hard not easy. But still there’s plenty of room for error. These poems as well as all the others I’ve written in the last few years will be include in an eBook that I will soon complete and publish called If only I could play that hole again – And Other Golf Poems. Written with the help of golfing poets such as Sir Arthur Conan Doyle, George Fullerton Carnegie, Grantland Rice and Billy Collins. Laid out as a golf course with Holes (chapters) such as “St. Andrews,” Agonies and Frustrations,” “Advice,” “Politics and War,” “Links with the Devil,” and “The Women’s Game.” The text and poems provide humorous tales, historical dramas and personal accounts that will touch the hearts and minds of golfers universally. Much of the material comes from inaccessible books and magazines published in the U.S., England and Scotland before 1930. The Foreword is by Robert Trent Jones, Jr.
More than five years in the making. Written to offer today’s golfers poetic snapshots of the game as described by keen-eyed golfers of the past along with a good number of historical vignettes. Golf Course of Rhymes is available at Amazon, Barnes and Noble and also Amazon.UK. I hope you will take a look. Just after last year’s British Open I wrote a poem to commemorate Tom Watson’s memorable performance. Since then I have revised the poem slightly. You might also enjoy the poem I wrote about Doug Sanders at the 1970 Open. 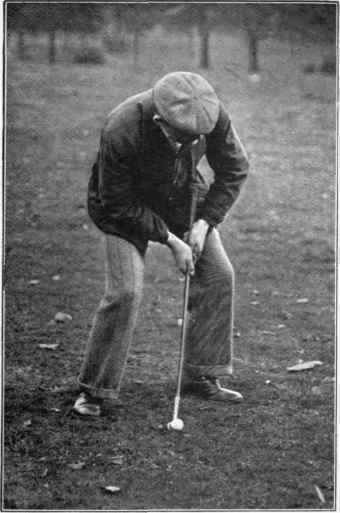 There seems to be general agreement that the first printed book of golf instruction was The Golfer’s Manual, By a Keen Hand, written by H. B. Farnie and published in 1857. Since then instruction has grown to be one of the major products of the golf industry. These days it is still packaged in books, but also in magazines, newspapers, advertisements, blogs, videos, YouTube clips and tips. In addition, instruction is sold to individuals and groups by thousands of teaching pros. But in today’s busy world, there is a need for the “short and sweet” in golf instruction. With that in mind I offer a 12 line verse that packages the essence of what you need to know to become a better putter. And if you are put off by poetry, just think of this guide as six putting tweets. Don’t think twice when putting.